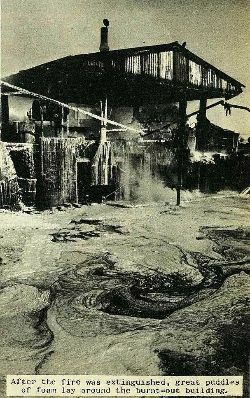 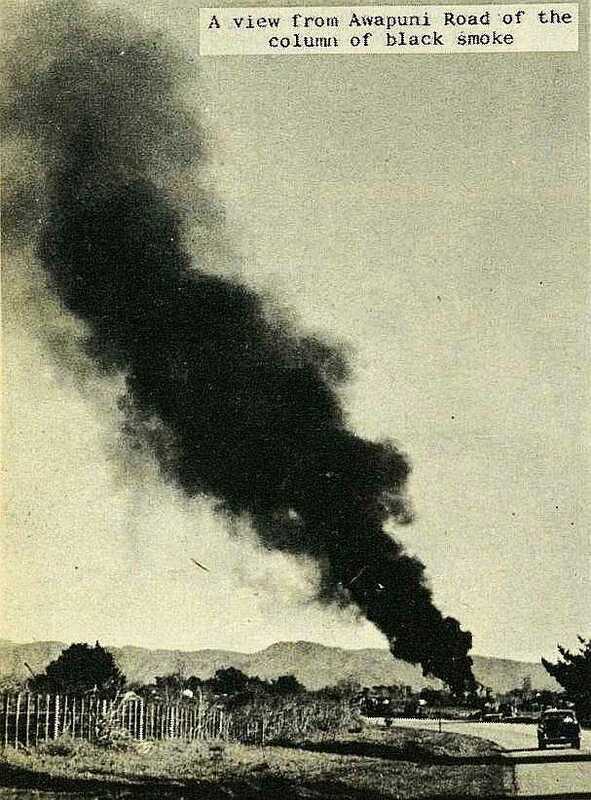 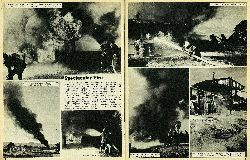 A spectacular fire occurred at the Ministry of Works tar depot in Awapuni Road, adjacent to the aerodrome, when a boiling plant overflowed and spilled near-boiling tar on to heating bricks. 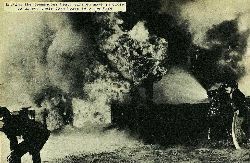 The plant and 540 gallons of tar burst into flames, sending a pall of black smoke high into the air and creating a very fierce blaze. 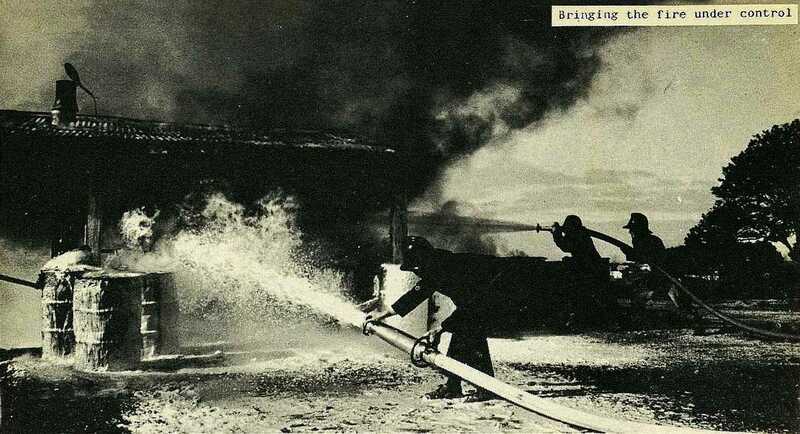 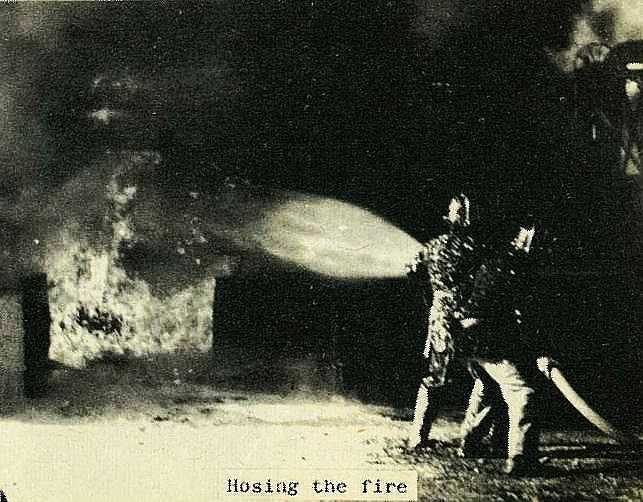 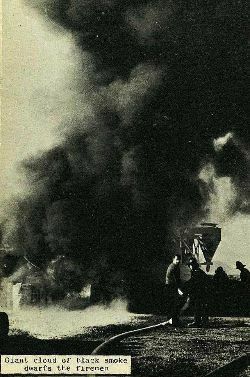 Five engines, three from the Gisborne Fire Brigade and two from the airport, raced to the scene and poured thousands of gallons of foam on to the holocaust before it was brought under control. The building housing the plant was burnt out, and the plant itself received considerable damage. 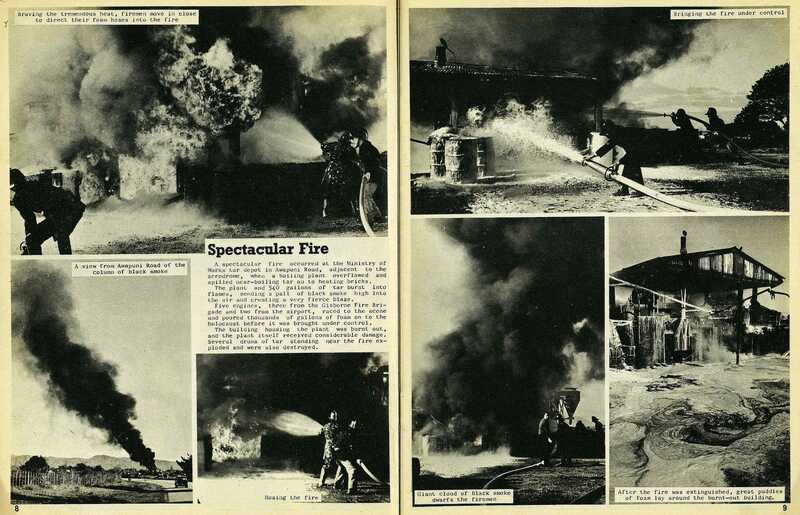 Several drums of tar standing near the fire exploded and were also destroyed. After the fire was extinguished, great puddles of foam lay around the burnt-out building.